Tag Archive | "Normandy France"
For some of us, June 6, 1944 is nothing more than a random date in history. But for others, that date will never be forgotten. Field Marshall Erwin Rommel (a.k.a., The Desert Fox) of the Axis forces had predicted that June 6, 1944 would prove to be the longest day in history. Rommel was right. 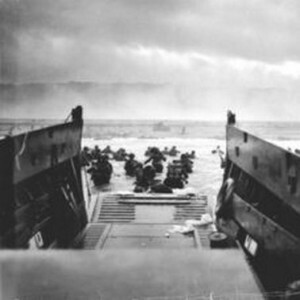 Known now as D-Day, June 6, 1944 was the day on which one of the most epic battles of the Second World War was waged. The outcome of what occurred that day would determine ultimate victory, or ultimate defeat, in that long, bloody conflict. 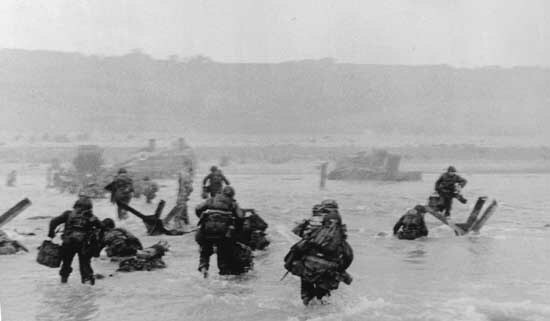 Omaha Beach, in Normandy, France, was more than a strategic territory in the war; it was vital, for it linked the Allied Forces in their efforts against their Axis foes. For Rommel, it did turn out to be the longest day. The Allies’ victory at Omaha enabled them to secure a stronghold upon Fortress Europe; in less than a year, they would achieve victory in Europe. But it was a victory that came with enormous sacrifice. 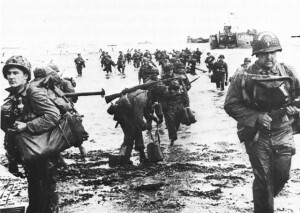 Most who landed on the beach that day were young, green soldiers with little or no combat experience. Many of them were Americans, joined by their fellow British soldiers-in-arms. There was nothing to prepare these young men for the horror into which they were about to step, a merciless attack from their enemies. From the deck of the American battleship Augusta, General Omar Bradley watched the nightmare unfold. After witnessing the initial carnage, he made preparations to abandon the assault. But as fate would have it, a company of Rangers arrived as critical fortification. Today, the beaches of Normandy are silent, but the memories linger on. Each year on the anniversary of D-Day, French locals, families of the deceased, and veterans of that war gather to honor and respect their fallen heroes and loved ones. To the veterans who survived the war, and who fought on the beaches, in the jungles, and in the deep waters of the oceans, D-Day serves as a reminder of their contributions to World War II. With the sobering memories of June 6, 1944 also comes a sense of pride, for having worn the uniform of the United States military. And with that pride come prayers for our casualties of war. The old refrain of the song “The Way We Were” tells us that, “what’s too painful to remember, we simply choose to forget.” And, yet, we will never forget D-Day and those who made amazing sacrifices to the cause of freedom. This article is dedicated to Corporal Carmine S. Farnolo, who was there at Omaha Beach. Carmine was attached to the 9th Army Air Corps, 409th Flight Group, 512th Squad. Now 86 years old and fast approaching his 87th birthday, Carmine remembers D-Day with utter clarity. But those memories live in his heart, for he is among those who will not speak of that day.